Finally after 8 years and almost 11 years after writer Stieg Larrson died a new novel in the Millennium Series has been released. This fourth novel, The Girl In The Spider’s Web, is not the fabled lost story of Larsson but has instead been written by David Lagercrantz. The story continues some years after the last novel. Millennium is yet again struggling as investigative journalist Mikael Blomkvist reluctantly embraces the truth that he has become a dinosaur in the social-media driven world. Torn between accepting changes at the magazine or quitting his job his future is saved when he begins investigating professor Balder. Balder may have found a way to create an artificial super-intelligence which makes him a target for government agencies and professional criminals. However, Blomkvist initial interest is only because Balder knows Lisbeth Salander whom he consulted after he got hacked. Meanwhile Lisbeth, or The Wasps or Pipi has hacked the NSA at the request of the Hacker Republic, a group of friends that includes the morbidly obese Plague. Things get quickly get out of hand while the connection between the initially divergent storylines slowly becomes clear. I don’t think I should describe the plot anymore than I have. I think the introduction is more than enough to get potential readers interested. Suffice it to say I really enjoyed this new Millennium novel. The Mikael Blomkvist described in The Girl In The Spider’s Web feels like a natural evolution of the previous Blomkvist. Yet, he is more mature, more brooding, a bit more self-indulgent. It makes his character feel more real, whereas previous novels suffered from cartoonish features. Lisbeth’s character has also undergone change, though her closed mind and personal logic are for the most part only understandable to Mikael. 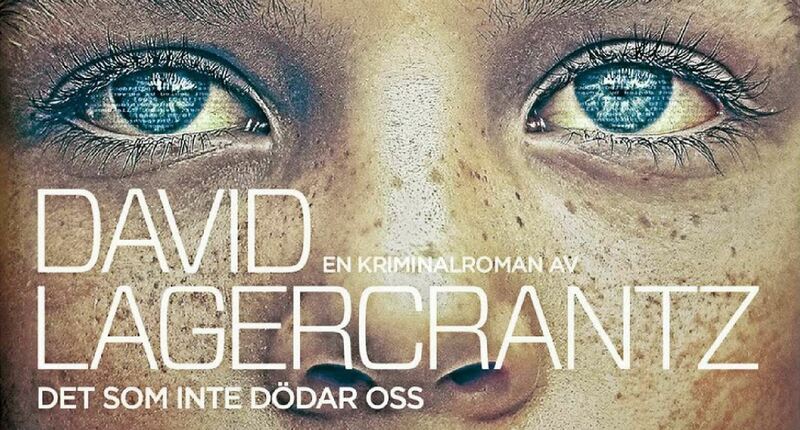 The change to characters is a successful effort by writer David Lagercrantz to place his own mark on the story. Both Salander and Blomkvist have often been described as being the alter ego’s of Stieg Larrson, now Lagercrantz has been able to make changes that are acceptable and ensure he can place them in harm’s way without resorting to deus ex machine. The leaner writing style and the quick change of viewpoints ensure the story moves at speed, something that seems fitting in a world with ubiquitous high-speed internet. However, Lagercrantz at times feels the need to delve into exposition even when it seem that it is not necessary. In the end my thoughts were that this book reminded me more of a Fredrick Forsyte novel such as The Kill List with a good dose of The Girl With The dragon Tattoo. Some reviewers on the internet have been hard to please. I think their instant opinion is clouded by the surprise at who the writer was. I think David Lagercrantz has outdone himself and I hope to see more of the Millennium series. This was The Girl In The Spider’s Web Review! I hope you enjoyed the article. A hard-cover version of the novel can be bought at 16 $ at amazon.com.